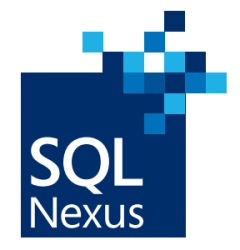 If you are attending this year’s SQL Nexus conference in Copenhagen, Denmark, from May 1st to 3rd this year, I urge you to attend my preconference training session – “The Complete Primer to SQL Server Virtualization“. The architecture of the infrastructure underneath your mission-critical SQL Servers is vital to the well-being of your databases, and if any little component underneath is not running at its peak potential, your SQL Servers are artificially bottlenecked and your performance suffers. Microsoft MVP and VMware vExpert David Klee leads this full-day introduction to enabling and managing a virtualized SQL Server environment. The focus of the course is to help those new to virtualization and/or infrastructure concepts to become familiar with the concept and purposes of virtualization and how it can benefit them as data professionals. Participants will gain exposure to all layers of virtualization underneath SQL Server, from storage to hypervisor to the SQL Server instance, and will learn how to construct the entire stack with a strong emphasis on SQL Server performance. Intended Audience. The intended audience of this course is information workers (both business and IT-centric) involved with architecting a virtualization strategy for SQL Server, or managing business-critical SQL Servers that have already been virtualized. A working set of the screens and configuration settings referenced in the session, together with the reference slides and documentation, will be provided to attendees, for strategic reference in working with virtualized SQL Server in your own environments. I look forward to seeing you all there! Register today, as seats are limited!